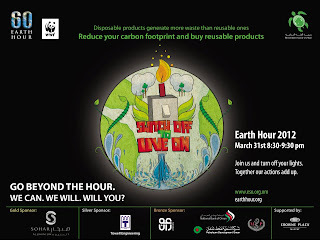 Last year, the Environmental Society of Oman joined the rest of the world for the first time in the Earth Hour. 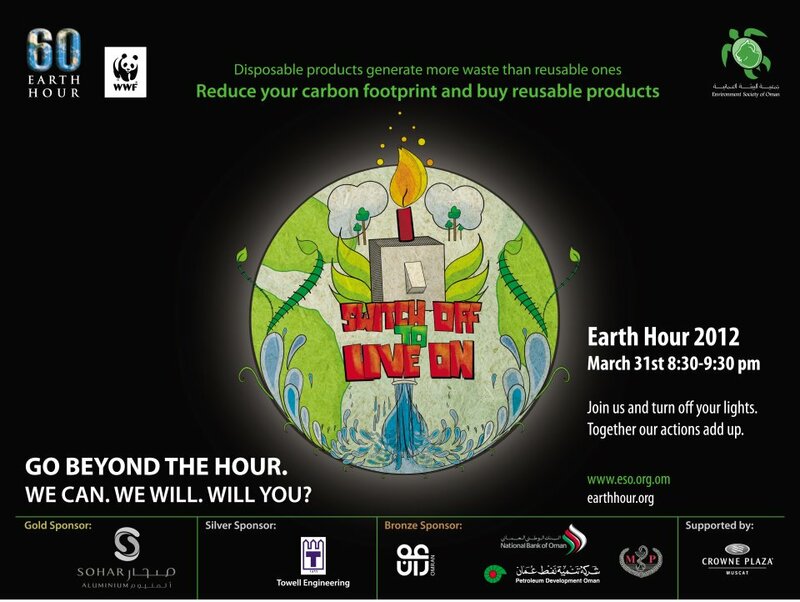 It's an initiative where people turn off their electrical appliances, lights and whatever else uses electricity for an hour between 8:30 and 9:30 pm on a designated date, this year the date is today: March 31st. Last year here in the Sultanate, an estimated 20,000KW of electricity was saved, enough to supply 250 houses for a whole day or the whole district of Al Khuwair in Muscat for an hour (ripped that from this Oman Tribune article). This year the ESO are targeting a saving of 50,000KW of electricity, no small mean feat as it means we will have to collectively do more than twice as well as we did last year to hit this target. 5. Play hide in the dark! Remember, as the Tesco supermarket chain loves to remind its customers, "Every little helps", so join in, whats turning some lights off for an hour really going to do to you? I wonder if Mew Year's Eve 2011 saw a spike in births ? Good tips on saving electricity, but remember it's important to do so every day, not just for an hour annually!